United Nation Women’s engagement on rule of law has been at both the policy and programming level. At the policy level, UN Women and the Office of the High Commissioner for Human Rights co-authored the Secretary-General’s Guidance Note on reparations for victims of conflict-related sexual violence, and supported the development of the Secretary-General’s Guidance Note on Constitution Making. It recently launched a Constitutional Database, which compiles relevant gender equality provisions and is used to support country level constitutional reforms. UN Women with United Nations Development Programme support produced a mapping report measuring the UN’s engagement on women’s access to justice in conflict-affected settings. It has been providing support to the International Criminal Tribunal for Rwanda and International Criminal Tribunal for former Yugoslavia’s legacy projects to document lessons learned on the investigation and prosecution of sexual and gender-based violence including through manuals of good practice. At the programming level, UN Women is currently implementing a 3-year programme on Gender Sensitive Transitional Justice. Since 2013, a gender and justice expert was co-located to the Global Focal Point on Police, Justice and Corrections to ensure comprehensive gender integration in rule of law strategies and joint programming in crises situations. In 2011, UN Women and Justice Rapid Response created an SGBV Justice Experts Roster to enable the deployment of experts to international and national justice mechanisms including commissions of inquiry. In constitution making processes, UN Women aims to ensure that structural barriers confronting women in their efforts to access justice are addressed. 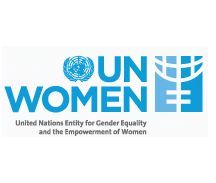 UN Women is working to implement the recommendations of its 2011/12 report “In Pursuit of Justice” and will operationalize the General Recommendation on Women’s Access to Justice by the Committee on the Elimination of Discrimination against Women.